The Hope that is Within You is the first in a new series of unique interviews with leading Christian thinkers and activists. The series is designed to pose critical questions to key individuals in the contemporary Christian community, asking them to give an account of their faith and its relevance in today’s world. In the first of the series editor Raymond Friel interviews Fr Timothy Radcliffe, a Dominican priest and best-selling author of titles such as What is the Point of Being a Christian?, Why Go to Church? and Take the Plunge.Fr Timothy is a former Master of the Dominican Order and in that role travelled the world to visit his Dominican brothers and sisters on every continent. He is in great demand today as a speaker and has captivated audiences in many countries with his accessible yet profoundly personal and inspired account of the hope that is in him.Booklet of transcript and audio-cd included. Catholic schools have an impressive reputation of providing both inspiring environments and delivering academic excellence. It is hardly surprising therefore that they are amongst the most consistently sought after schools in terms of pupil intake each year.With such an important far-reaching choice to be made by parents (and pupils) it has never been more important to have clear, informative and reflective guidance on hand to help you make the best decision possible. Choosing a Catholic School will help guide your decision-making at every step.Whether you are a parent looking for authoritative and impartial advice in selecting a school and the application process; or a Catholic school looking for a practical resource to help guide parents during the application and admissions period for the next intake, this book will prove an invaluable and thought-provoking first port-of-call.Key features include:Parents and pupils: get clear, informative and reflective guidance on hand to help you make the best choice of school possible.Schools: help guide parents during the application and admissions process.Parents: ensure that you get authoritative and impartial advice in selecting a school. 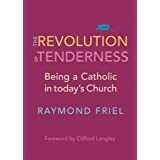 In this book Raymond Friel explores issues facing the Catholic Church today, with both humour and passion, while drawing on the remarkable and often moving testimonies of twelve ordinary Catholics – five men and seven women – from the UK and the Philippines. Beginning with a survey of the Church’s journey over the last hundred years or so from the Syllabus of Errors of Pope Pius IX to the unexpected announcement from St John XXIII of a Vatican Council, Raymond Friel draws on his own cradle Catholic upbringing to reflect the huge changes taking place in and around the Church, with a particular focus on the inspiration of Pope Francis and ways to develop a personal faith. The age of mass membership, or cultural Catholicism, is gone, and the age of the “intentional” disciple has arrived. 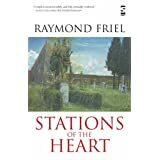 An inspirational read for anyone searching for perspective on the Catholic faith in a modern world.---Review from Sr Janet Fearns:The Revolution of Tenderness came as a surprise… Within a few pages, I felt drawn into the world and Church of my childhood: familiar, cosy and structured… Friel is a teacher and, as a good teacher, tries to offer his message without its recipients needing to swallow a dictionary beforehand. The Revolution of Tenderness is not confrontational… Discipleship, community, social justice, evangelisation and mercy have a fresh outlook and meaning… it helps us to fulfil the dream of Pope Francis: to become a little more merciful. 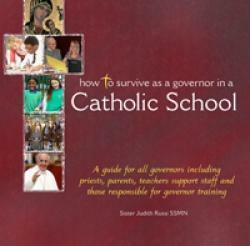 Designed to assist all governors and those considering becoming a governor in a Catholic school. This highly practical and accessible resource looks at the key priorities that every governor needs to be confident about in order to fulfil his or her leadership role in the mission of the Church in education today. This book provides a reflective tool that works both for individuals and for the ongoing formation of a governing body as a whole, deepening readers' knowledge, understanding and effectiveness as governors of Catholic schools today. 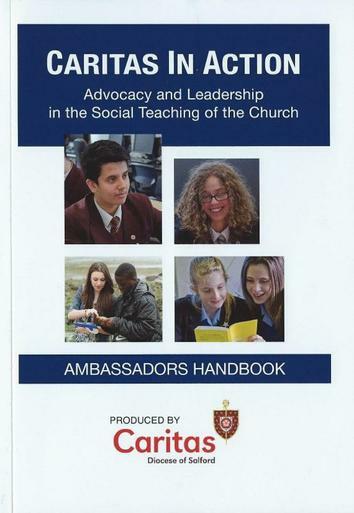 Handbook for student Caritas Ambassadors. Ideas for actions in the school community and the UK. For further information contact Lorraine Leonard, Caritas in Action, 3 Ford Street, Salford M3 6DP. 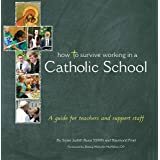 Raymond Friel has written a follow-up book to his and Sr Judith Russi's book How to Survive Working in a Catholic School. The new book is written specifically for headteachers and those working in senior leadership in Catholic schools. 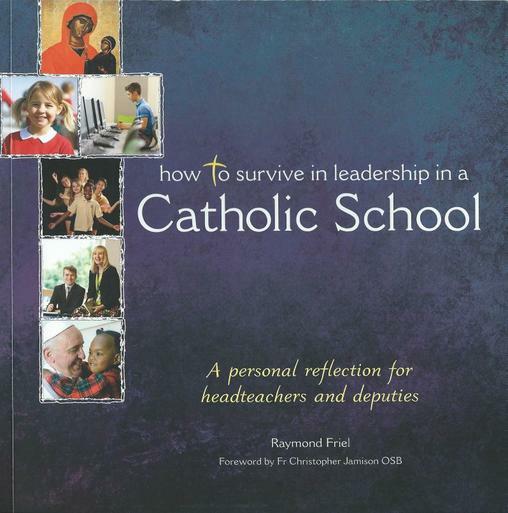 It is a personal and practical guide to leadership in Catholic schools based on the real life experiences of the author as well as a variety of heads he visited. 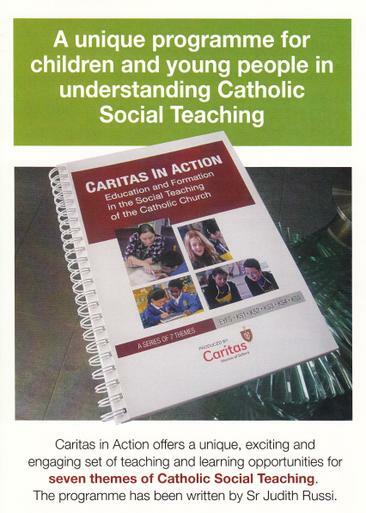 Caritas in Action - Education and Formation in the Social Teaching of the Catholic Church. Caritas in Action offers a unique, exciting and engaging set of teaching and learning opportunites for seven themes of Catholic Social Teaching. The programme has been written by Sr Judith Russi. For further information contact Lorraine Leonard, Caritas in Action, 3 Ford Street, Salford M3 6DP. are not religious at all, the Catholic school system can sometimes be a bit confusing. This book deals with all your possible concerns and more. Issues covered include getting to grips with the Catholic ethos, preparing services and knowing the correct way to address a member of clergy. This book is not just for teachers: it is a fantastic aid for support staff, caretakers, lunchtime supervisors, and governors, providing a clear exposition on Catholic education, so that you can be confident the next time a child asks you a tricky question. "By helping them to understand that each person, young or old, is a child of God and precious in his sight, this excellent book will help priests, governors, teachers and parents to understand their role in supporting our Catholic schools and their mission." Bishop Malcolm McMahon OP. About the authors: Raymond Friel has been a headteacher in Catholic secondary schools for over a decade, he has first-hand experience of everything that working in a Catholic school entails. 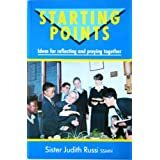 Sr Judith Russi SSMN is the director of EducareM and has worked for many years as a teacher, advisor, curriculum developer and author with expertise covering primary schools through to sixth form. Powerful and evocative poems of love, loss, and memory which range from contemporary England to a Scottish childhood, from the State of England to the pieties and pressures of growing up in a religious culture in which expression and pleasure were highly problematic. 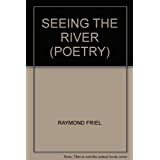 The poems are technically accomplished, using traditional forms such as the sonnet, the villanelle, as well as free verse, but coming back again and again to the base line, the industry standard, of the ten-syllable line. The influences of Heaney, Larkin, W.S. Graham and the Romantic tradition are evident, as well as the more recent influences of the richly gifted younger generation of Scottish poets born around the early 1960s. Other aesthetic co-ordinates are provided by Vermeer, Stanley Spencer and Alfred Wallis, with a visit to the grave of John Keats in Rome providing one of the collection’s defining moments. 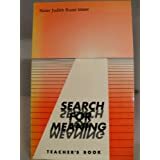 A strong theme in the collection is the intimacies of family life, with tender and at times anguished recollections of parents, moving celebrations of fatherhood, and often humorous and down to earth poems about relationships in the context of modern professional life. In the spirit of the Romantic tradition, different places often provide the settings for moments of insight or resolution with nature acting as a constant backdrop of reassurance that whatever darkness there may be, it is not the darkness of the abyss, but the darkness before dawn. Creative Ideas for Primary RE through Circle Time, Group Activities and the Liturgical Year. 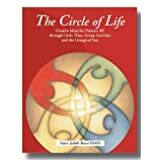 There is nothing new about the concept of the circle and the positive influence that it can have on an individual and a community. The ritual and practice of gathering in a circle is found in many cultures and civilisations down through the ages. Circle Time is well established in many Primary Schools. The aim of this resource is not to outline the rationale or the mechanics for holding a circle time with your class. This resource aims to support and help the teacher in the classroom with some well tried and tested ideas for a successful Circle Time in Religious Education All of the ideas suggested here can be used in time dedicated to RE. However, they can of course be used at other times, both in school and in other situations. A practical book full of ideas for class assemblies in schools or for small groups in parishes. The reflection sessions are divided into seven sections - who are we?, offering, the word, symbols, images, our world, the table. A teacher's guide to running a two year course on religious views which aims to make students think and debate about all aspects of religion. The course can be used in Catholic schools and parishes and can be easily for adapted schools with pupils of many faiths.